When preparing dinner that has a lot of elements, timing it all to come together at an exact moment can prove tough, especially if you’re in a busy household. As a result, parts of dinner can go cold while other parts are still being cooked, or the whole dinner can go cold while you round up the children (or adults) to sit at the table. While many simply reheat food in the microwave, households now have another way to prevent dinner from getting cold – the warming drawer. While they may not be the first thing you think of when it comes to kitchen appliances, the warming drawer has seen an increase in popularity in recent years, as the handy appliance often seamlessly fits into your kitchen, as well as proving to be a savior when it comes to keeping dinner from getting cold. With plenty of finishes, sizes and capacities available across a number of brands, households are spoilt for choice. Read on to find out what brands have to offer. A heavyweight of the household appliance scene, Bosch has a wide variety of appliances and products available for consumers to deck out their homes, including plenty of appliances for the kitchen. Within this extensive range are two warming drawer models, each with different dimensions and capacities to help suit your kitchen and lifestyle, regardless of how much space you may have. Both warming drawer models are within Bosch’s Serie 8 line-up, with the handy appliance likely to set you back between $1,000 and $1,500, but may be well worth the price tag when it comes to keeping dinner warm. The main difference comes from their dimensions, with the Serie 8 drawers available in either a 140mm or 290mm height, allowing for a difference in capacity, as well as how many items you can keep warm simultaneously. With four temperature controls, and a temperature range between 40°C and 80°C, Bosch’s warming drawers are suitable for pre-warming plates, keeping food and drinks warm as well as helping to defrost or slow cook food. With a heating plate made of toughened glass, Bosch’s warming drawers have a max weight of 25kg, meaning you’ll be able to fit plenty of food in the drawer. 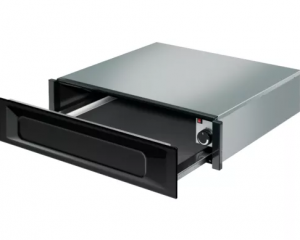 Swiss manufacturer V-Zug has a number of warming drawer models available, with heights ranging from 144mm to 283mm, allowing consumers to find a model that suits their kitchen space. 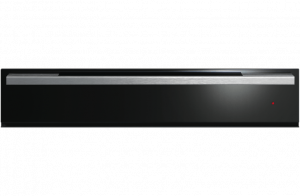 Available in black glass or stainless steel finish, the V-Zug warming drawer can make a fancy addition to any kitchen. With a temperature range between 30°C and 80°C across seven temperature settings, the drawers can be controlled via an electronic temperature control, with the chromium-steel interior also coming with an interior light to help you keep an eye on your food. V-Zug warming drawers have a minimum 19L capacity, and also come with a glass heating plate for safe and efficient heating. Additionally, if you’re prone to cooking or heating the same meals, you can save the settings under the Favourites function, making it user-friendly. Consumers can also take advantage of the 6 hour time delay function, meaning that you can start slow cooking or defrosting even when you’re not home. With plenty of kitchen appliances available, Fisher & Paykel has joined the warming drawer market, offering consumers two models in a number of finishes to suit every kitchen aesthetic. Other features include a 30kg weight limit, handy for those big dinners, as well as a soft closing mechanism for easy use. Additional features include stainless steel control buttons, automatic timers and an automatic shut off for increase safety, along with an easy clean glass base. Available in both stainless steel and black glass, Fisher & Paykel offers a two-year warranty on both parts and labour, giving consumers peace of mind as well as a warm dinner. 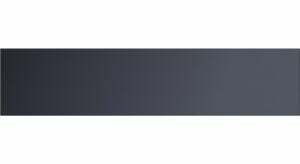 Offering possibly the widest variety of warming drawer models, kitchen goliath Miele has households covered with plenty of finishes to suit every kitchen style and size, although the price tag may turn some consumers off the brand. Available with or without handles, Miele’s Gourmet warming drawers are available in the traditional 140mm and 290mm dimensions, allowing for an easy fit either under the oven or wherever there’s space in the kitchen to suit your personal preference. Miele’s warming drawers have four operating modes, including cup warming, plate warming, food warming and low temperature cooking, allowing households plenty of options when it comes to dinner time. Settings and modes can be chosen through the touch controls under the flush glass fascia for easy use, with a timer also available for slow cooking. 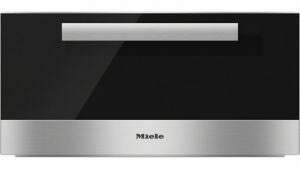 Miele’s warming drawers have a 25kg capacity, making them ideal for large dinner parties. Despite the cooking potential, Miele’s warming drawers are said to keep cool on all their external sides, allowing for increased safety in the kitchen. Another safety feature is auto shut-off, which automatically shuts off the warming drawer if the maximum operating time of 12 hours is exceeded, handy for those who forget to turn off appliances or aren’t an expert in the kitchen. Much of its warming drawer range has been discontinued, but Smeg’s Classic model is still available for sale, offering plenty of functions and features to make it a worthwhile purchase for any household. With a range of installation options, including under bench, as an integrated system or wall mounted, Smeg’s warming drawer can fit in any kitchen. With a stainless steel, fingerprint proof finish, Smeg’s classic model has a 45kg weight limit, with a warming temperature of up to 80°C. Should I get a warming drawer? While they may not be the most common kitchen appliance, many households could find benefits with having a warming drawer installed, with enough functions available to help at meal time, regardless of what you’re cooking. 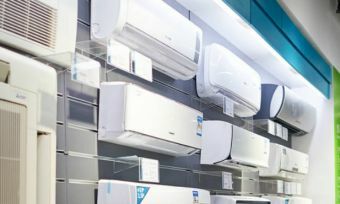 With plenty of brands available, narrowing down the options to find the ideal fit for your household can send many consumers into a headspin, so it’s best to do your research before you put a payment down. With many warming drawers offering similar dimensions and temperature ranges, other factors such as safety features and the weight limit may be the deciding factors when it comes to installing one in your kitchen.